Ever-Increasing Threats: Do You Have the Right DR Strategy in Place? Home > Blog > Ever-Increasing Cybersecurity Threats: Do you have the right DR strategy in place? 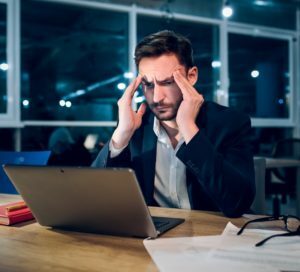 Cyber threats keep executives up at night because cyber-criminals are well funded and highly motivated to acquire, or hold for ransom, valuable corporate data. In other cases, destructive malware (for example NotPetya), cause havoc and platform destruction just like a wildfire. These threats and resulting attacks can severely affect your organization financially and reputationally. By some estimates, 70 percent of companies go out of business after a major data loss. According to a recent Ponemon Institute study of small- and medium-sized businesses, 61% of respondents experienced a cyber-attack in the past 12 months and spent an average of $1.03 million on recovery costs; and the disruption to their normal operations cost them an additional $1.2 million on average. Because of this, CEOs and CISOs are beginning to re-assess their approach to business continuity and disaster recovery to ensure the right strategies are in place to help protect against cybersecurity threats. Companies continue to rely heavily on their on-premise data centers for disaster recovery (DR). Ongoing management and upgrade of these environments and platforms comes with many challenges. IT organizations struggle with competing demands, alongside cost containment and reduction pressures. Besides having to address cybersecurity threats on a limited budget, IT is also expected to quickly recover from disasters, while applications and systems continue to grow. Often these challenges result in a stressful, no-win situation for the CISO. Some mid-sized companies have had limited options to deploy replication and other technologies across multiple data centers; this is because they have one primary data center and rely on traditional backup and expensive disaster recovery centers for DR testing and recovery. Limited options to deploy replication prevents these firms from reducing costs or self-managing resiliency in the same ways as larger firms with multiple data centers who also have more technology capabilities and stronger engineering capabilities. Adoption of the cloud for your DR platform will enable you to improve your recovery capabilities and take advantage of the cloud provider’s inherent security mechanisms and controls while cutting costs and improving agility. For mid-sized firms who do not fully protect applications and services – cloud DR opens new potential. Whether you’re refreshing your current DR platforms, looking to reduce your on-premise data center footprint or, most importantly, concerned about your ability to protect against cybersecurity attacks, now is the time to consider deploying your DR solution in the cloud. To see what we’re doing in disaster recovery for secure clouds, click here.